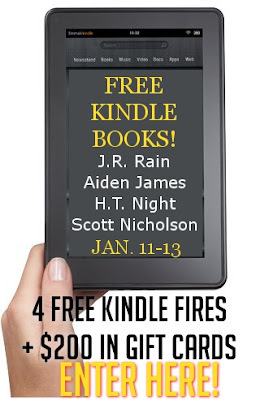 If one of the four authors hits #1 on the Kindle Free list, they will give away another Kindle Fire. 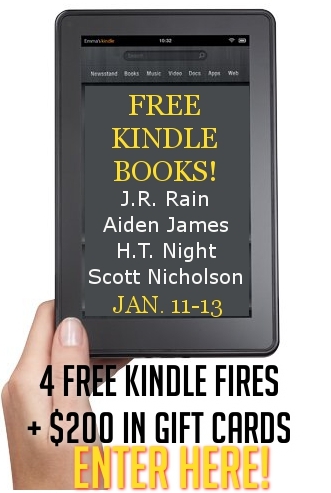 If at any time during the event, the four authors hold all the Top 10 slots on the Kindle Free list, they will give away a sixth kindle. Kindle Fire winners will be selected by the Watauga County (NC) Public Library staff using random.org. Hey, I'm new to this, but I liked your page on f.b. and I'm following you on twitter. This is like my mantra now! Kindle Fairy please come find me! Pasted your story to my facebook page ! Shared on facebook and twitter using bottom of page - thanks.